The active regions are currently stable or decaying, except for a new developing small sunspot group Catania 48. No flares occurred during the past period. nT, while the solar wind speed obtains values between 280 and 360 km/s. Quiet to unsettled (local K=0 to 3 at Dourbes) geomagnetic conditions were observed and are largely expected to remain so. 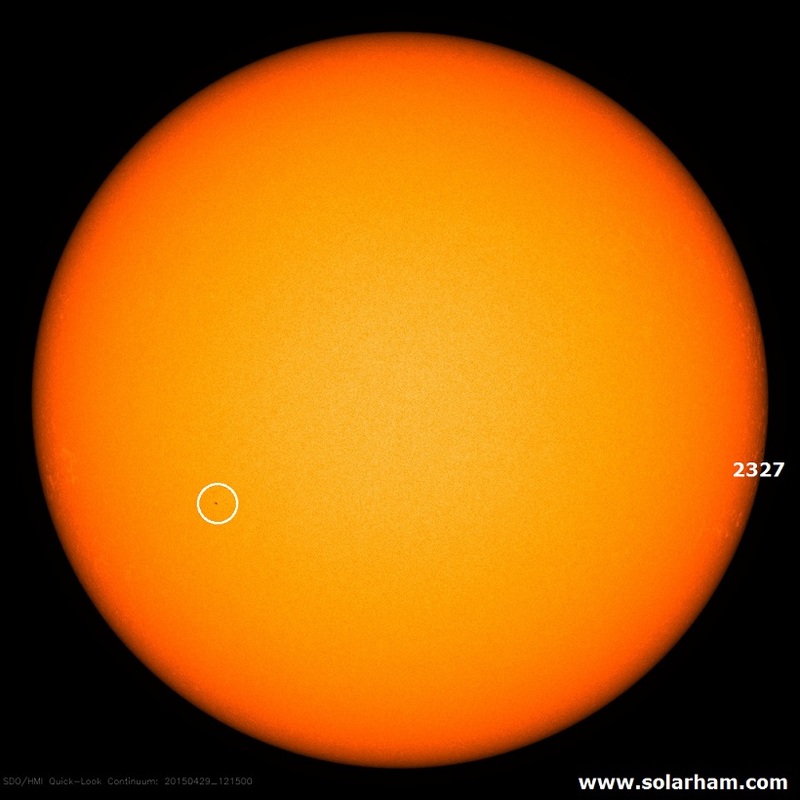 There is some chance for a few time slots of active (K=4) to minor storm (K=5) conditions, due to an expected flow from a positive polarity coronal hole on April 30.